An Identity Panel High Availability License can be purchased for one of the following scenarios (choose one). 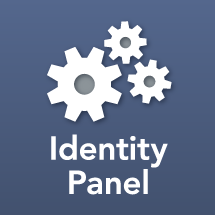 This add-on license to Identity Panel Core Framework, along with other prerequisites, allows you to access Identity Panel Core Framework and your licensed option from Identity Panel as a Service through the Azure Marketplace. To learn more about configuring Identity Panel HA, visit Configuring Identity Panel High Availability. Identity Panel HA may include services. For more information, visit Identity Panel HA Service Description.